I decided to try the thermal stitch. After the first few rows I began to realize that the fabric was so dense, a back layer was not neccesary. One thing I needed to be careful of was picking up the buried stitch at the end of the row. I finished the piece with a slip stitch; going through the two bars as usual, but pulling through all loops on the hook. 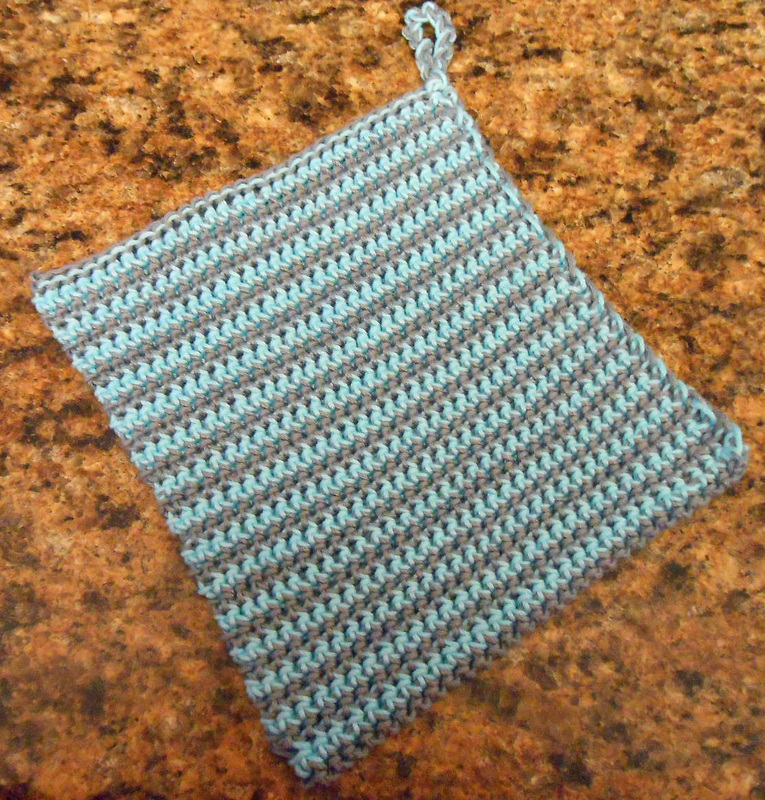 The finished potholder is about 7″ square and 7/32″ or 4 mm thick. 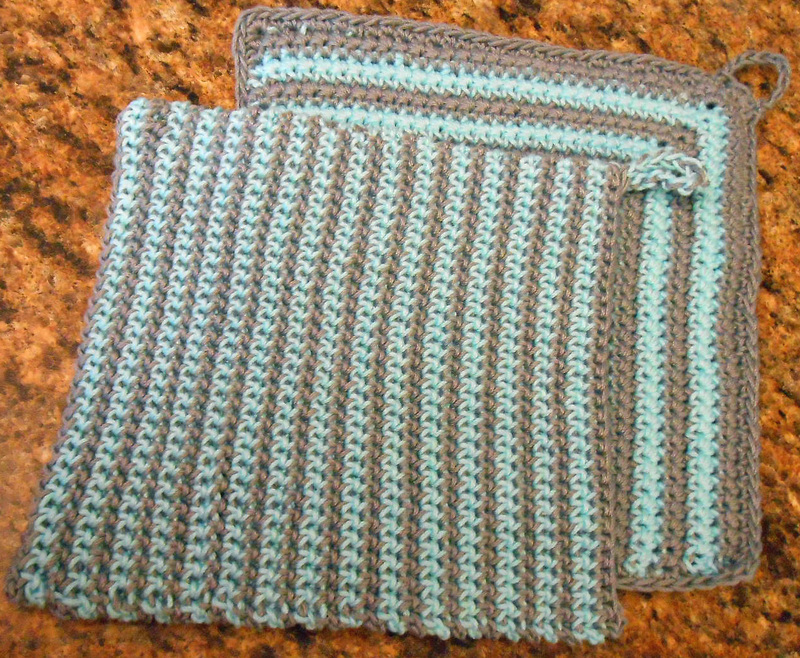 I used the same yarn as before; Lion Brand Yarns, 24/7 cotton, aqua and silver. 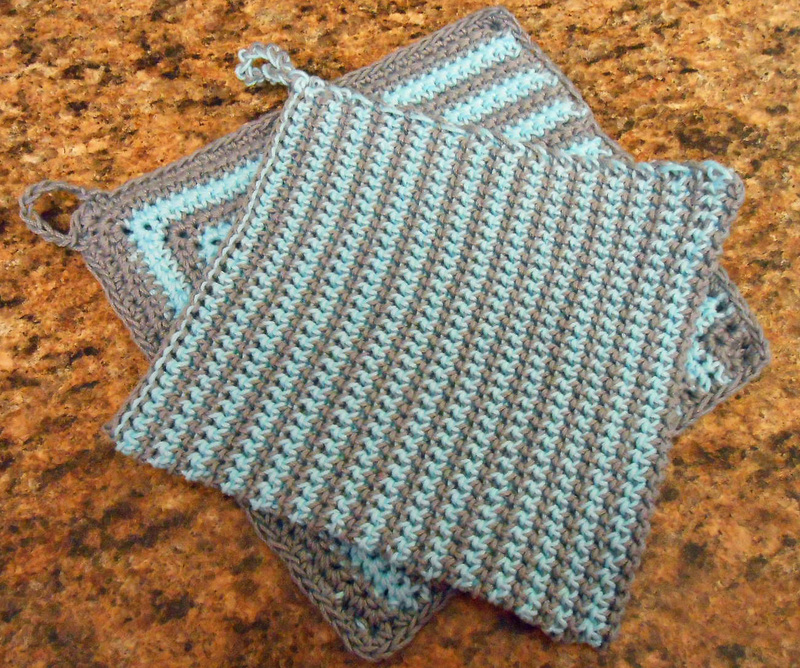 I have enough remaining from the 3.5 oz/100 g skeins to make a single crochet, one layer potholder, but I have two additional full skeins of the same colors. I saw a vintage basket pattern that looked interesting. I will either make that or some other type of basket.